Kitchen and Bathroom Remodeling Specialist Serving El Dorado County, Folsom, and Granite Bay At Bliss Builders, Inc., our goal is to not only help you design and remodel your home, but to make the process easy and enjoyable for you. Located in beautiful El Dorado County, CA, we are a full-service residential remodeling firm specializing in kitchens, bathrooms, whole house remodels, and additions. Licensed, bonded and fully insured, Bliss Builders, Inc. can help you with all phases of remodeling. Our excellent reputation and long list of satisfied clients attest to our superior craftsmanship, attention to detail, clear communication, honesty and integrity. Our company is based on the belief that our customers' needs are of the utmost importance. Our entire team is committed to meeting those needs. As a result, a high percentage of our business is from repeat customers and referrals. Just ask for our client reference list! We welcome the opportunity to earn your trust and deliver you the best service in the industry. ADDITIONAL INFORMATION ABOUT US With 20 years of custom home construction and remodeling experience, Bliss Builders, Inc.'s President, Mike Bliss, also holds a Bachelor's degree in Business from Saint Mary's College of California. Bliss Builders, Inc. carries general liability insurance and is covered by Workman's Compensation insurance. All of our subcontractors are required to furnish proof of the same coverage. El Dorado County's Award Winning Design Build Firm I 5x Best of Houzz! 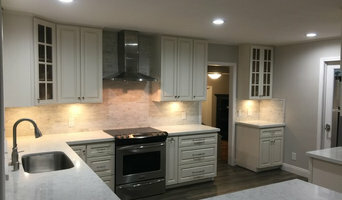 AWARD WINNING REMODELING CONTRACTORS IN FOLSOM, CA When it comes to designing & building their clients' dreams the owners of Brush Strokes Inc., Jane and Mike Reed, have the ability to successfully plan, schedule & execute any home project, from start to finish! Being from England and working in several different countries they bring a real european flair to their design. With over 30 years experience and an outstanding reputation this company stands out from all competitors. Family owned and operated their attention to detail and customer service is second to none. Jane is the designer who will help with all your selections of materials and colors while Mike personally oversees every project and works closely with all his clients to ensure that work is complete on time and within budget. They do not employ a sales staff so right from the start you are working with the owner of the company and, of course, they do not charge for estimates or initial consultations. Mike and his wife, Jane, make a fantastic team who really enjoy their work. They are constantly updating their training and education to ensure their clients receive the best service and support. Usher Building & Design will give you the experience everyone hopes for in hiring a contractor for your Interior remodel. Customer service is the backbone of our company, quality is a must, We will keep your home cleaner, we will keep you more informed, and up to date with the schedule of your project, than any of our competition. Usher Building & Design is a company you can trust, communication and honesty is key, this is how we stand out. You deserve to enjoy your building experience. The best part of my job as Usher Building & Design, is working with people, creating contacts and relationships. Being given the opportunity to show people the quality workmanship we do, and then looking back at a job well done, knowing that one more client has my back, because we gave our best, and it shows. And the reason we can give our best is because, We love what we do, to build, to create, to design. Full service design & build remodeling contractor with over 50 years of combined experience. 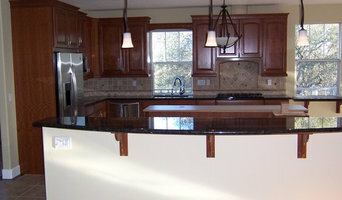 We specialize in kitchen & bath remodeling, windows & doors, plumbing & electrical. When you choose us you can always expect the finest quality materials available and first class customer service. Wiseman’s has a team of highly experienced and skilled craftsmen who are masters at what they do. We take great pride in the quality and level of professionalism we provide to each and every one of our clients so we go the extra mile to work with you to help design a remodel you will love and can afford. Once work commences we treat each job as if it were our own home. We try to minimize the dust, intrusion in your home and the length of time the project takes. We maximize efficiency by coordinating the whole project timeline before we start. We also do not start a project until all the parts are in and checked for accuracy. We offer free design consultation & no hassle bids. We are highly competitive & budget friendly! Founded 2003, We take pride in the fact that our skilled and knowledgeable team brings a commitment to the highest standards of client satisfaction and craftsmanship. whether it’s updating a kitchen or bath or building a patio. If you’re in need of a simple repair and maintenance. Our specialties include kitchen backsplashes, bathroom remodeling, porcelain, and ceramic tile counter tops, entryways, and other decorative stone structures such as ceramic, porcelain, marble and stone tiled floors. Bill Lee the owner has over 25 years of experience and believes quality far exceeds quantity. He is the one who will inspect the problem and the one who will fix it, by designing the perfect remodel for kitchen and bathroom. He is meticulous with his work and he is an artist in his designs. He has worked with investors in Texas and California that gets a return on their investment by the feature of his work and designs. Luxury homes are his specialty. Robertson Construction, based out of Folsom, CA, is a general contractor that specializes in Kitchen and Bathroom remodeling. Robertson Construction truly cares about the vision and desire that each individual puts into their dream project and we want to make sure it looks exactly how you imagined it. The state of California has licensed them. Robertson Construction is insured and bonded. Luxehome Construction is a Sacramento region General Contractor specializing in kitchen and bathroom remodeling and house renovations. 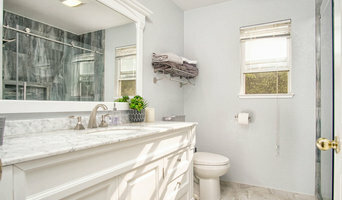 Luxehome Construction provides a white-glove remodeling experience with a primary focus on job cleanliness, timing accuracy, and customer communication. This unique approach to remodeling of focusing on elite customer experience rather than a high volume of work is establishing Luxehome Construction as a high-end service provider in Northern California. SBC Contractors, Inc. is a Sacramento-area building contractor offering a wide range of residential building services for both new and remodel projects. Whether you are considering a new home, a kitchen or bathroom facelift, a complete home remodel, an extension or second-story addition, an outdoor kitchen or other outside enhancement, talk to SBC Contractors first. It is our goal to make your project go smoothly, be cost-effective and encompass the highest quality possible. It’s time to stop dreaming about the work you’d like to see done and ask for the help of a highly experienced home remodeling company in Rancho Murieta and Sacramento, CA. 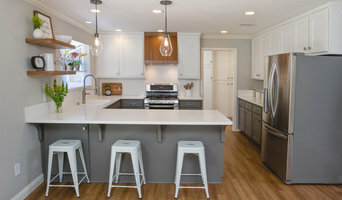 The remodeling contractors at WDS Remodeling & Renovation have been helping families plan and execute their renovation projects for 44 years in the Sacramento, CA area. We pay attention to every detail, so you know that the work will be done completely to your specifications. Our firm also acts as a general contractor on renovation jobs, allowing you to bring together the different elements of a project more quickly and efficiently. WDS Remodeling & Renovation is available Monday - Friday, 7 a.m. - 6 p.m., and Saturday - Sunday by appointment. We’re the home remodeling company in Rancho Murieta and Sacramento, CA, that delivers superb results, so contact us today and get started rejuvenating your home. What does an El Dorado Hills kitchen and bath remodeling expert do? Licensed California kitchen and bath remodelers are contractors who specialize in altering the structure of an existing space, rather than building one from the ground up. Because he or she must deal with a previous builder’s work, the job can get more complicated than new construction. You might wonder why they often specialize in both kitchens and bathrooms, but if you think about those two spaces, they actually have a lot in common. Kitchens and bathrooms include an abundance of fixtures that require careful planning and installation, including sinks, faucets, tubs and toilets that all need water hookups and drainage. They also use similar materials, such as tile and stone for countertops and flooring, due to the nature of their use. So it makes sense that El Dorado Hills kitchen remodelers and bathroom remodelers be one in the same. A bathroom or kitchen remodeler translates architectural plans from page to reality; some are also trained to provide design services so that you don’t have to hire a separate pro. Like a general contractor, a kitchen and bathroom remodeler in El Dorado Hills, CA is responsible for hiring and supervising subcontractors and providing materials when necessary. They also should have a thorough knowledge of California building codes and construction-related legal issues, as well as current design and product trends. Here are some related professionals and vendors to complement the work of kitchen & bath remodelers: Woodworkers & Carpenters, Kitchen & Bath Designers, Interior Designers & Decorators, Architects & Building Designers, General Contractors. Find an El Dorado Hills kitchen and bathroom renovator on Houzz. Narrow your search in the Professionals section of the website to kitchen and bathroom remodelers in El Dorado Hills, CA. You may also look through photos of El Dorado Hills, CA spaces to find kitchens or bathrooms you like, then contact the bathroom or kitchen remodeler who worked on it.